5 Amazing Kitchen Gadgets That Will Get Your Breakfast Done In 15 Minutes Or Less! They say breakfast is the most important meal of the day, but with our jam-packed schedules, making breakfast in the morning feels time-consuming and complicated. Well, your mornings are about to get a whole lot easier as we have found 5 amazing kitchen gadgets that will help you get your breakfast done in 15 minutes or less! 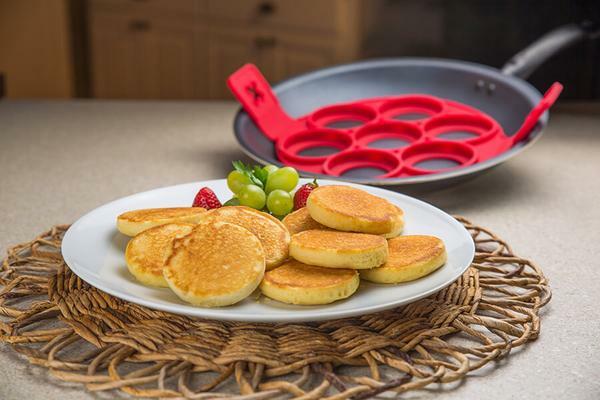 7 pancake molds made from Non-Stick, Food-Safe Silicone Rings. The side will firmly hold onto the batter to maintain perfect shape for even cooking, while the flat bottom ring supports everything. 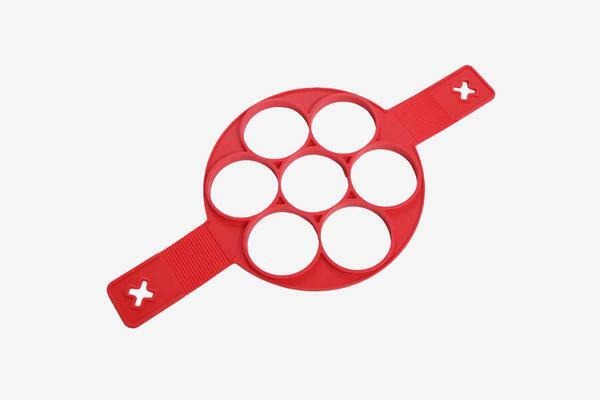 With this handy kitchen tool, you can flip multiple pancakes at the same time without even worrying about any mess. This means that you can make up to 6 pancakes at once! It also works for eggs, omelets, hash browns and much more! Get The Pancake Easy Now! 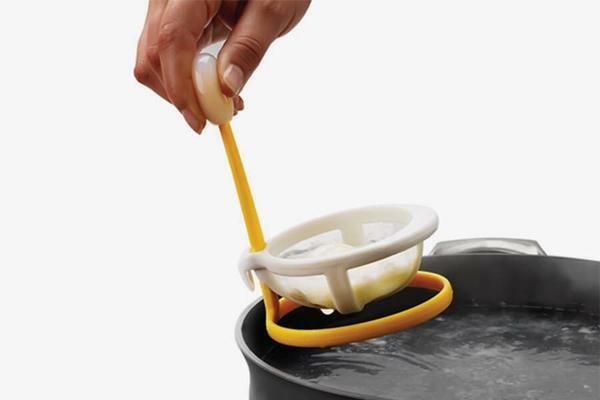 The Egg Poacher is the fastest and easiest way to poach an egg! Made with high-quality plastic and heat- resistant material, this product is long-lasting and extra durable. 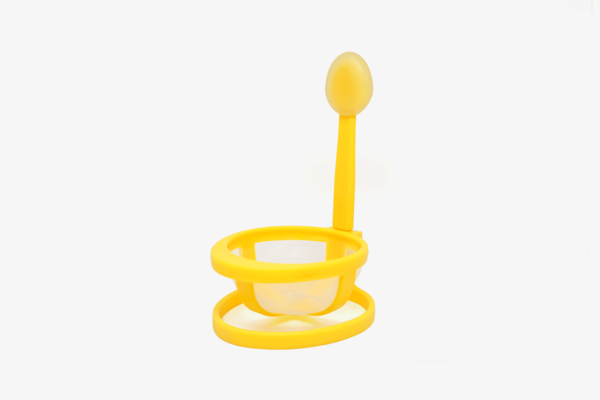 Save time cleaning, as it is dishwasher safe! The uniquely designed mesh basket allows the water to swirl around the egg for a perfect poaching every time! Simply submerge the mess basket into a pan of gently boiling water, crack in a single egg, and you will have a perfectly poached egg in just 4 minutes! Get The Egg Poacher Now! The Fruit And Vegetable Slicer Pastry Clip fixes round fruit and vegetable to allow you to have perfect fruit slices. It is easy to clean and convenient to store. You can easily cut up to 9 uniform slices of your favorite fruits or vegetables! 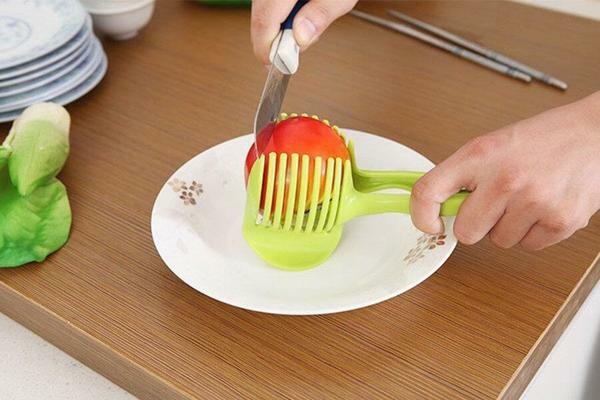 The clip provides you rapid slicing which saves you ample of time cutting your fruits and vegetables. It also keeps your hands safe and your kitchen table mess-free! 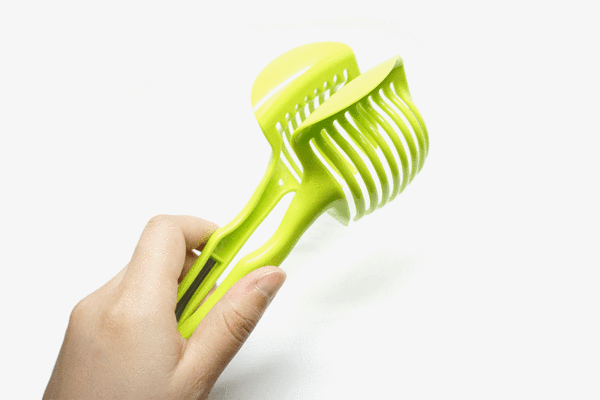 Get The Fruit And Vegetable Slicer Pastry Clip Now! 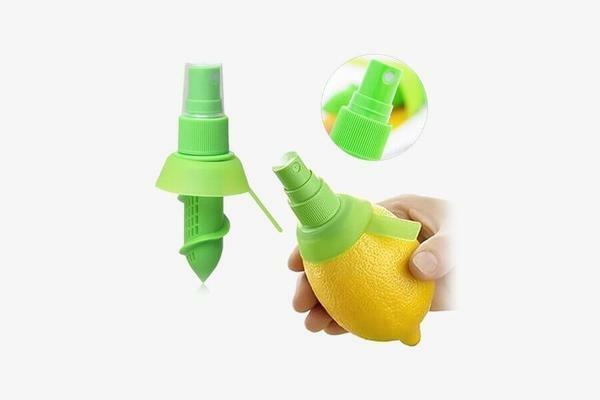 The Manual Fruit Spray uses a screw-like design which can be easily inserted and secure inside the fruit and the juice fills the filter through the holes and in the sprayer. 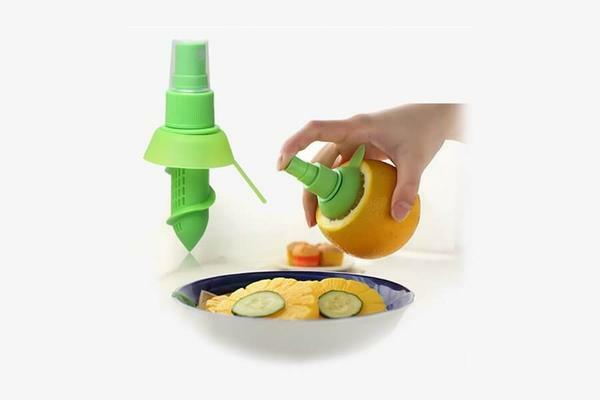 By squeezing the fruits and pressing the sprayer head it will release the mist of juice! You can now conveniently flavor your drinks, season your salads, seafood or other recipes with a light mist of favorite fruits. Keep it in your fridge for later use and simply throw it in the dishwasher once you are done! Get The Manual Fruit Spray Now! With one single push-down motion, the Wow! 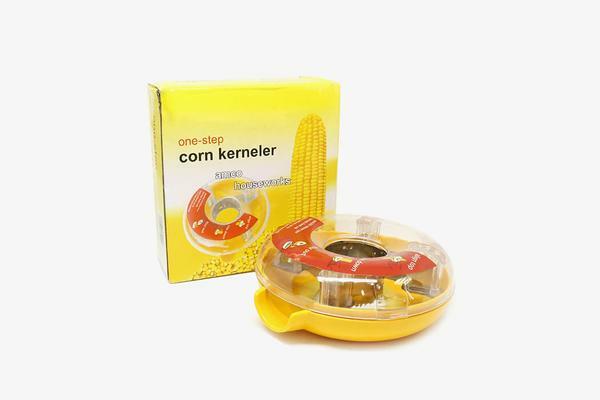 Corn Kerneler peels off kernels Easily from the cob. Simply start from the narrow end of the cob, and firmly push the Wow! Corn Kerneler down to collect every single piece of corn! 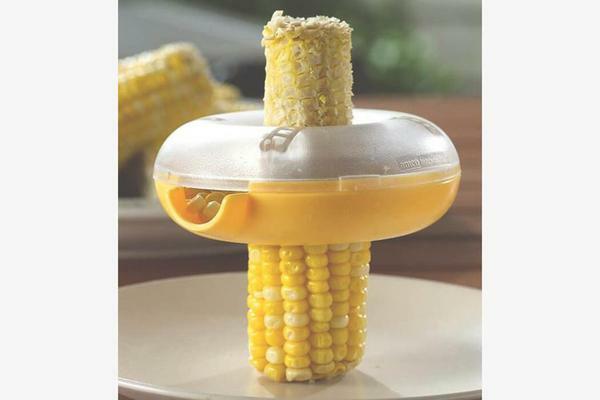 Remove all corns kernels out easily by pouring them out of the spout and there goes your yummy corns meal. The stainless steel blade is so sharp that it makes your corn peeling experience almost effortless. It also keeps your hands squeaky clean! Get The Wow! Corn Kerneler Now!